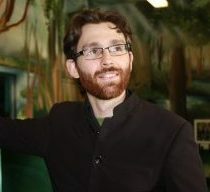 Dr. Jake Rowan Byrne is an Educational Technologist and Assistant Professor in Contemporary Teaching & Learning and Computing and course coordinator for the Postgraduate Certificate in 21st Century Teaching and Learning at the School of Education, Trinity College Dublin. Jake has years of experience using the Bridge21 learning models to teach both programming, problem solving, game design and other digital media projects. In 2017 Jake was commissioned by the NCCA to help write the new Computer Science Leaving Certificate course, helping to integrate both skills and domain knowledge into the specification. For 2016 and 2017 Jake was the Creative Technology Curator at the dlr LexIcon Library. Responsible for the development and curation of workshops in 3D printing, Electronics, programming and hardware development with Arduino and Raspberry Pi. Jake is a DCU graduate in Mechatronic Engineering and completed both a Masters in Technology and Learning and a Ph.D. in Computer Science from Trinity College Dublin. He also has experience designing innovative technological solutions for industry and is a named co-inventor on a patent. These posts provide the opportunity for him to pursue his passions for innovation, technology, design thinking and educational reform. CAWriter: using an Activity System perspective to inform the design of tools to support early career Ph.D. candidates.